Hair extensions have their roots (no pun intended) in ancient days. Men and women alike wore hair pieces to supplement their hair when theirs was in short supply. Since then, hair extensions have evolved to include a number of practices, each with different advantages and disadvantages. 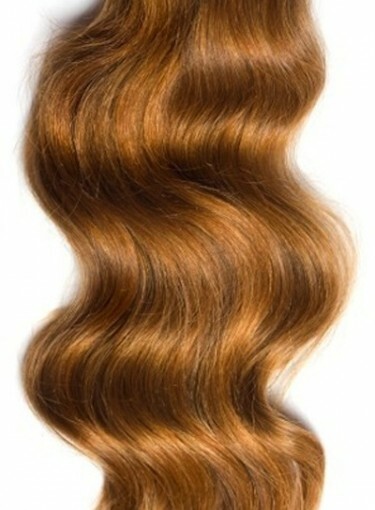 Hair bonding is just one of the (many) ways of attaching hair extensions to your hair. Hair bonding uses a rubbery glue adhesive to hold a hair weft to your natural hair. The best part about this process is that, unlike the sewing method of attaching hair via cornrows, it’s pretty seamless and natural looking, as the hair weft will just grow out with your natural hair. The application process is quick and can be DIY-ed if you’re very careful. Hair bonding glue is available at beauty supply stores and drugstores for pretty cheap, but make sure you know what you’re getting yourself into before you start applying glue to your hair. The downside to hair bonding is that it can be very damaging to get it out of your hair. Although there are bonding-removing agents available, they are sometimes ineffective and don’t remove all of the glue. While gluing your hair sounds a little iffy, hair bonding is a hair extension method to be considered if you are looking to lengthen or thicken your hair. For the real deal on hair extensions, check out one beauty editor’s week-long experience.